Australian Native Plants has a wide selection of books on plants, design and care available online or at the growing grounds. 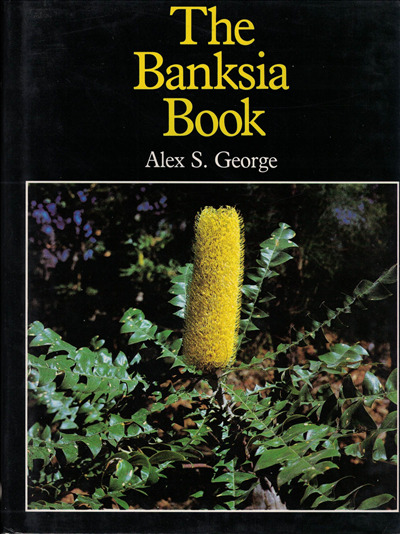 This is one of the first edition copies of The Banksia Book written by Alex George around 1985. It is in mint condition and a great reference book. Recommendations: there are a few books we feel should be on every gardener's self. Take a look at our Must Have Books in the Books section of the HELP page. Backordered: If you are interested in a book that is listed as "backordered", please contact us for approximate delivery date or to place an order. Many Australian plants can be successfully grown as Bonsai specimens? Banksia grandis, Brachychitons, Buckinghamia, many Callistemons and many Leptospermums See our custom plant list for more suggestions.